Happy new year Deepa! 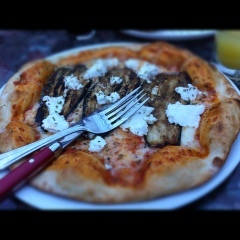 That pizza looks so nice (and I love aubergines so I’d order the same!). There aren’t many nice Italian restaurants around so I’ll probably make the trip soon.